Welcome to Grandeville at River Place in Oviedo, Florida, located in a quiet, established neighborhood with a gorgeous lake surrounding the property. 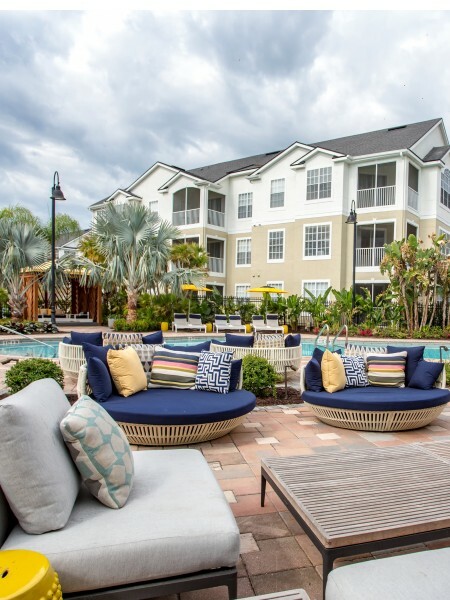 Our apartments feature the finest amenities including a resort style pool, clubhouse with billiard tables, state-of-the art fitness center, and we don’t stop there - we even have a bowling alley. We are located near the 417 Toll Road and in close proximity to University of Central Florida, which is less than two miles away. Lockheed Martin and Siemens are major employers also nearby. For more on location, click here. We fall within the Seminole County Public Schools (SCPS), which makes our Apartments in Oviedo, an ideal choice for parents wanting to send their children to top rated schools. SCPS is renowned as a Premier National School District and is the 12th largest school district in Florida. Nearby schools include Carillon Elementary School, Jackson Heights Middle School, and Hagerty High School. Residents can choose between our one, two, three, and four-bedroom apartments with beautiful open floor plans.Each apartment comes equipped with ceiling fans, spacious closets, island kitchens, and stunning views. Kitchens include a full-size microwave, dishwasher, stove, and frost-free refrigerator with a freezer/ice-maker. Plus, select units have stainless steel appliances, plank flooring, and granite countertops. The homes are all outfitted with contemporary interiors that were designed with comfort in mind and offer the convenience of a patio with a sliding glass door or a den. 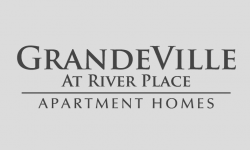 Prepare to be amazed by Grandeville in River Place!